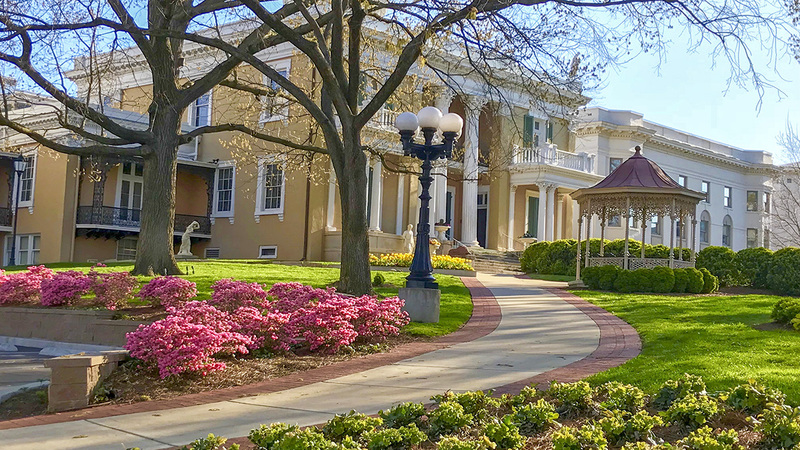 Situated atop one of the highest hills in Nashville, the 177-acre antebellum Belmont estate was built between 1849 and 1853 as a summer home for the wealthy planter Adelicia Acklen and her second husband, Joseph. A 20,000-square-foot Italianate mansion formed the core of the estate, which was once separated from the city by 100 acres of rural landscape. 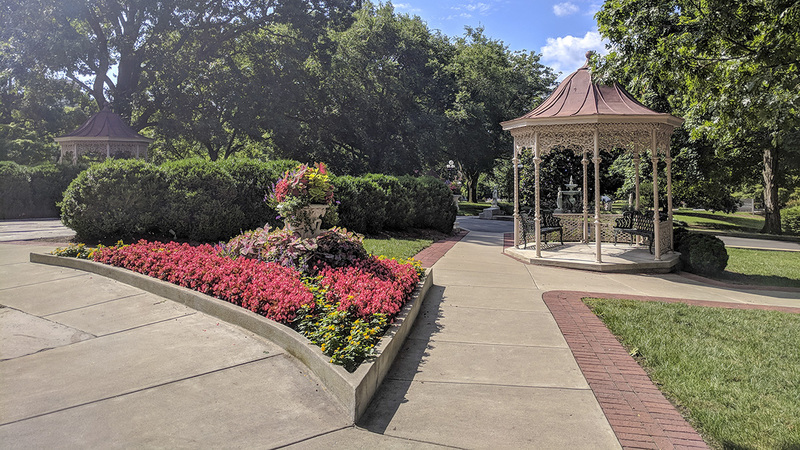 The grand residence was surrounded by expansive formal gardens, fountains, a water tower, a greenhouse, a bear house, an artificial lake, a zoo, a deer park, and an aviary. 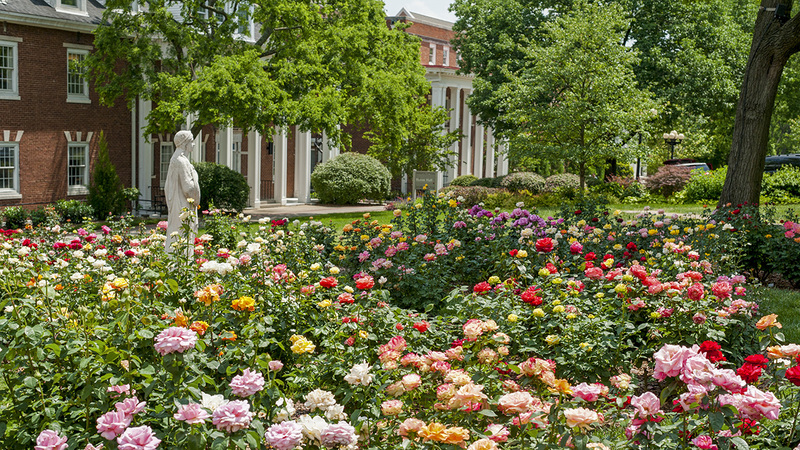 Although the estate is no longer intact, several of its remnants are now part of the 85-acre Belmont University and form its central quadrangle, including the mansion, which operates as a house museum. 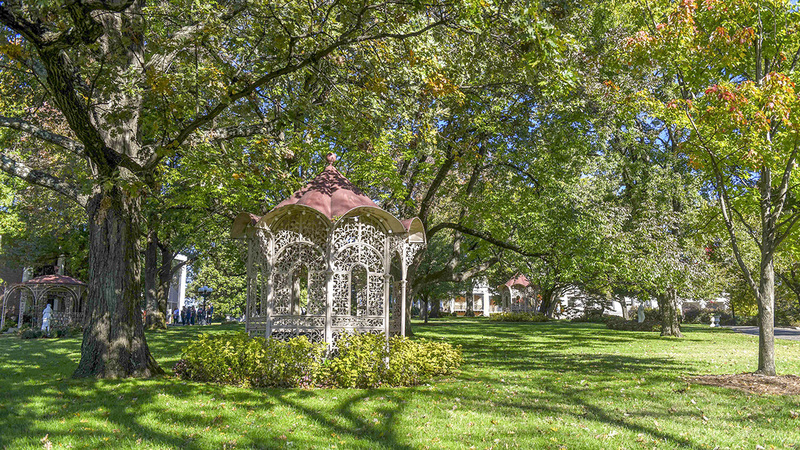 The mansion frames the northern end of the quadrangle and is fronted by a raised entryway lined by a hedge and flanked by twin gazebos. The mansion’s entrance is the northern terminus of an axial walkway that runs the length of the quadrangle, interrupted by Acklen Avenue, which forms a loop originating at Seventeenth Avenue, to the west. 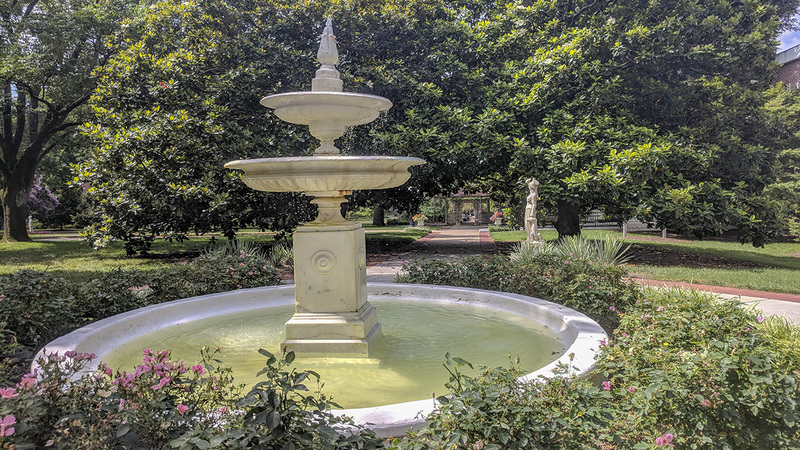 The walkway continues south, passing two ornate fountains and bisecting lawns edged with formal plantings before terminating at a brick-paved apron in front of the estate’s original brick water tower, modeled on the famous lighthouse in Alexandria, Egypt, and used to irrigate the estate’s garden. 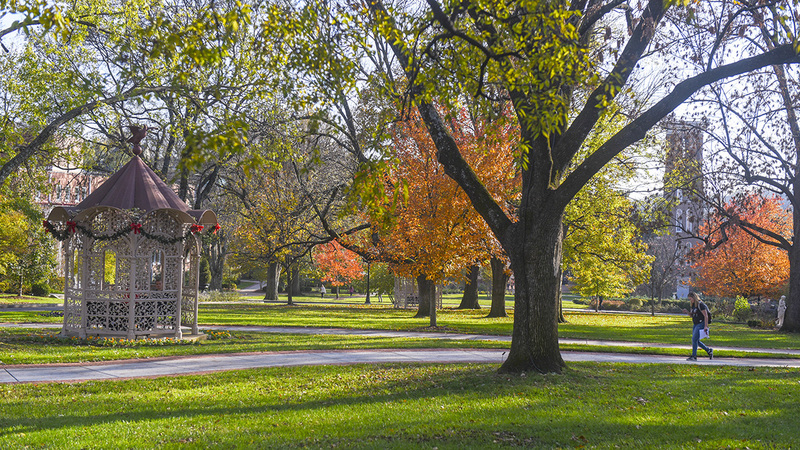 The 105-foot-tall structure now serves as the university’s bell tower. 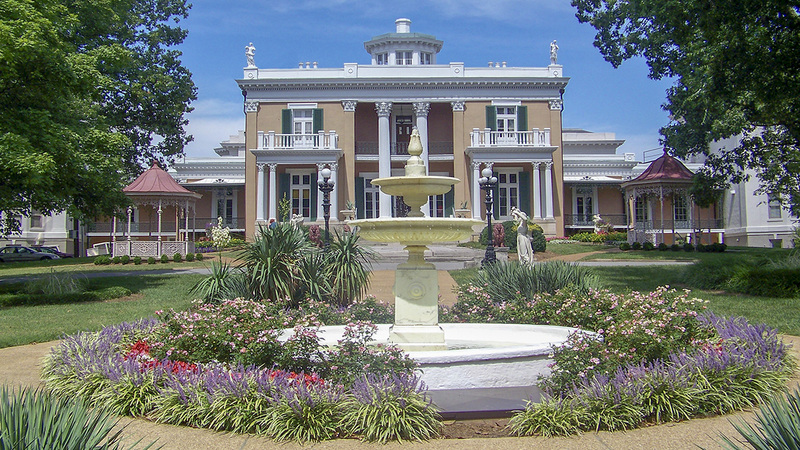 The Belmont Mansion was listed in the National Register of Historic Places in 1971.